Alan Vaughan-Richards (1925-1989), came to Nigeria to work for the Architects’ Co-Partnership in 1955 and married the Lagos socialite Ayo Vaughan in 1957. On the firm’s withdrawal from Nigeria, he established his own practice in 1960 and became a Nigerian citizen. His work, particularly in the 1960‘s, was exceptionally experimental in its search to hybridize climatic modernism, innovative design methods, and indigenous knowledge. As a resident ‘Lagosian’, aside from his architectural work, he was involved in architectural education debates, and the artistic and cultural life of Lagos, notably he was the co-author author of the publication; Building Lagos. Since his death, his architectural drawing archive has lain in his Lagos residence and studio for over 20 years. 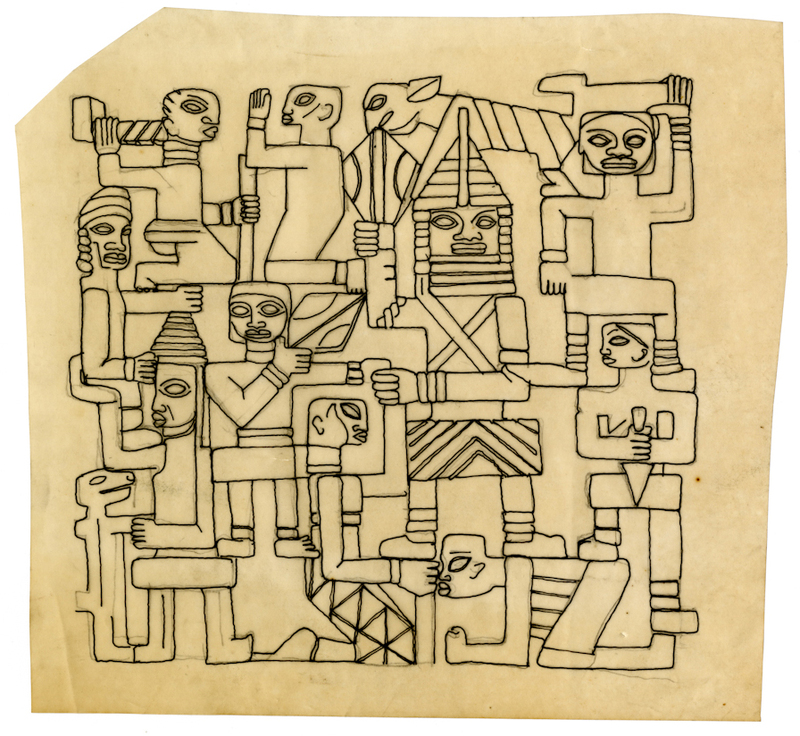 Now, with a grant from the British Academy, and further funding from Edinburgh University, 310 of his drawings have been digitised for future research, also recorded are some domestic and drawing office artefacts from his Lagos residence. The now digitised drawings will be transported back to Lagos and stored in appropriate environmental conditions for the tropics, to form the Alan Vaughan Richards archive. The exhibition in the Matthew Architecture Gallery, The University of Edinburgh, during September 2012, displayed some of his key projects, drawings, and presented a contextual view of Lagos life in the 1960s, which were revealed, as result of this digitisation project, and also showed aspects of the hands-on conservation process in Edinburgh.